Starting a martial art school? Wondering what to read, where to start, and what steps you need to take to do this running a dojo thing right? Need some guidance to take those first steps? I know exactly how you feel. I first started teaching martial arts as a teenager, helping out and partnering with my instructors in order to get free training. 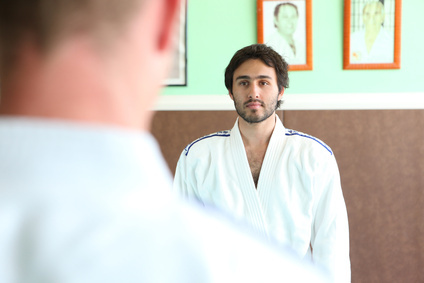 As I got older, I wanted to start my own martial art school, but I was really clueless about how to begin. So, I ended up failing three times before I got my first successful and profitable martial art school off the ground. The thing is, if I had just gotten the right information early on, I could have saved myself the misery of all that failure. I could have avoided losing time and money in doing things the wrong way. And, I could have been on the road to having a successful martial art school a lot sooner. ...and then hope and pray you get 100 students in your first three months so you can pay your overhead and still pay back that loan. And that's completely and utterly the worst way to start a martial art school. Well, it might be a good way to go if you already have a ton of experience in small business management and marketing. But unless you're the Warren Buffett of small business, you should probably rethink that approach. If you want to run a small, highly profitable school, the Small Dojo Big Profits way, then the hard thinking has already been done for you. Over the last ten years since I first wrote Small Dojo Big Profits, I've developed a complete system of martial arts business materials based on what's worked for me for over twenty years in three commercial martial art schools. The Foundation: Start with Small Dojo Big Profits; read it and implement the simple system in the book (I know it's an investment, but honestly... this is your financial future we're talking about here - now is not the time to skimp on preparing you for success). Reading SDBP will take care of your foundation for growing a successful and profitable business. Then, I suggest you consider becoming a member at MAbizU.com to get low-cost business coaching on how to run a Small Dojo Big Profits school. Getting More Students: Then, you need to focus on boosting your leads and increasing your conversions (leads to enrollments). So, get the martial arts marketing course and the martial arts sales course. Keeping The Students You Have: Next, you need to look at your retention. 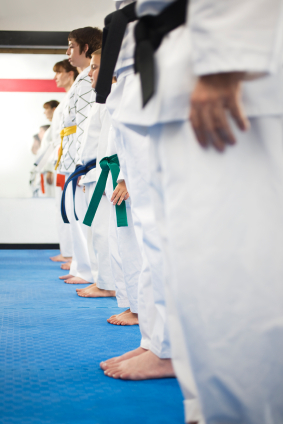 I suggest you implement the martial arts character education program, and that you add some pizzazz to your kid's classes with the martial arts drills and games guide. You might also want to implement a rotating curriculum, if only to make your life easier. Stabilizing Your Income: An optional step would be to stabilize your income by offering after-school and summer martial arts camps. 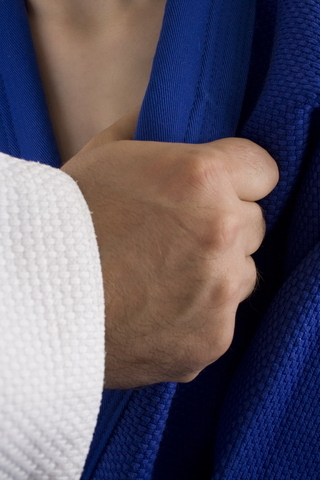 It's a lot of work, but done right kid's martial arts camps can easily double your profits. Plus, it'll stabilize your income so you don't have to worry about seasonal slumps ever again. Maximizing Your Profits, Honestly: Finally, you need to learn how to get the maximum profit from your school without screwing over your clients or driving them away. Read The Profit-Boosting Principles to see how to get 80% more profit from what you're already doing, all while better serving your students. And that's it. Boom, you're done. Follow the steps above and you just got a two-year master's course in martial arts business and marketing, all in the space of the few months it took to read and implement the information. Once you're finished, you'll know more than 99% of the people running martial art schools, putting you waaaaayyy ahead of your competition. Plus, you'll have set your dojo up right so that you have low overhead and high profit margins - meaning you can work less, and enjoy a life away from the dojo, if you so choose. Or, you could start your martial art school the high-risk way. It's a gamble, but you might get lucky and make it through your first few years. But, you'll still have that huge loan to pay off. Plus all that overhead... all those employees to hire, train, and manage... all those long hours to work... all that stress. I mean, aren't you doing this to get away from all that in the first place? My advice? 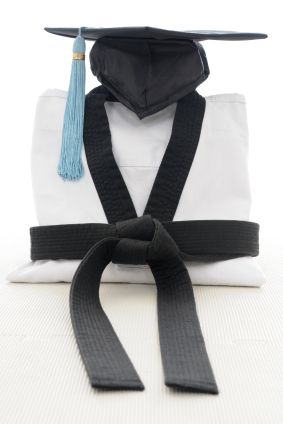 Spend a few hundred bucks on getting a martial arts business education now, so you can avoid those headaches later. In the long run, you'll save hundreds of times more money than what you spent on learning the right way to launch a dojo. P.S. - Some of my least expensive business info is available on Amazon.com. If you're short on cash, click here to check out those books and resources.